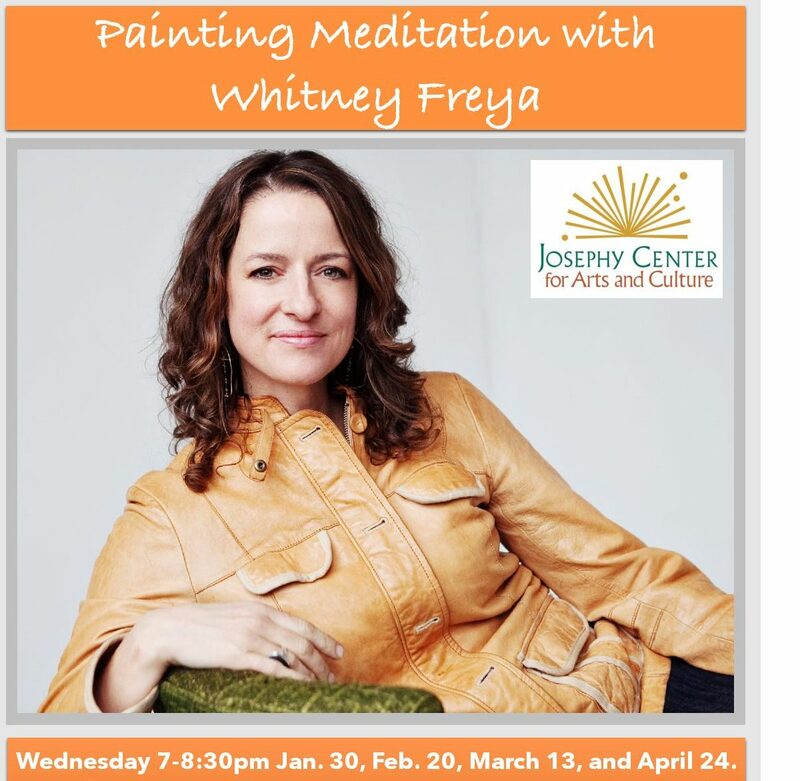 Monthly painting & meditation classes from January – June, happening on Wednesday evenings. 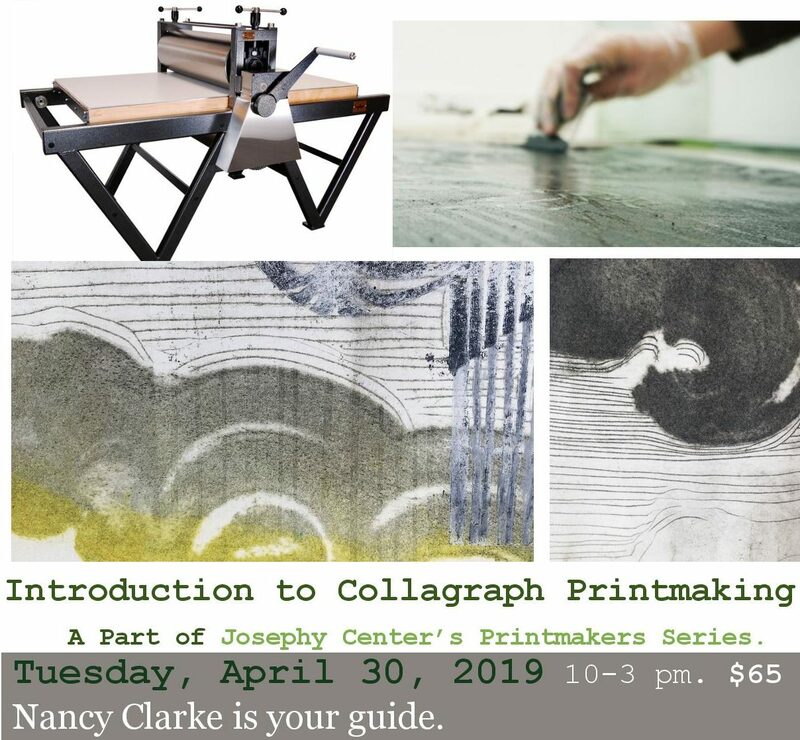 Register online today! 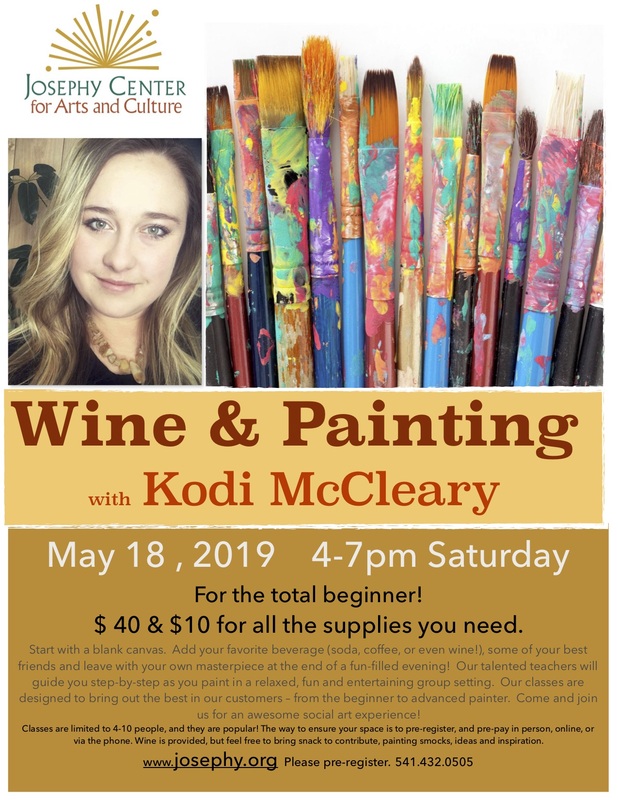 Our May Wine & Painting features artist teacher Kodi McCleary. 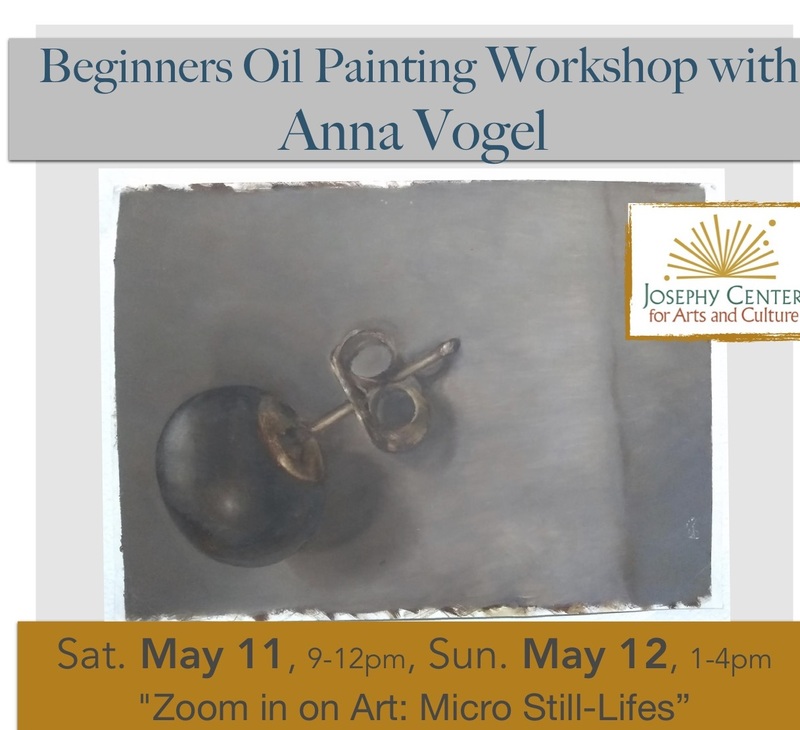 May 18th from 4-7 PM – register online today! Space is limited. 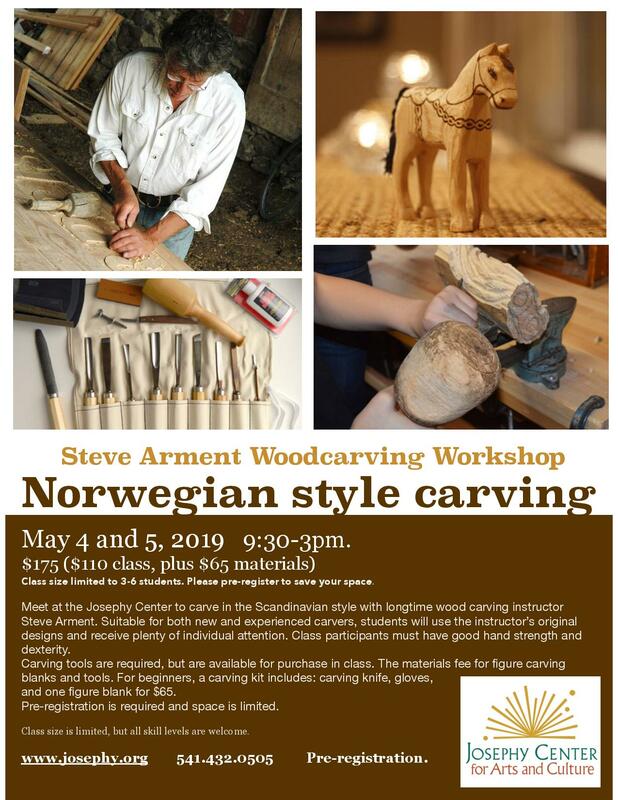 Taught by master carver, Steve Arment! Limited to 6 lucky students. May 4 & 5 – $175 with materials. 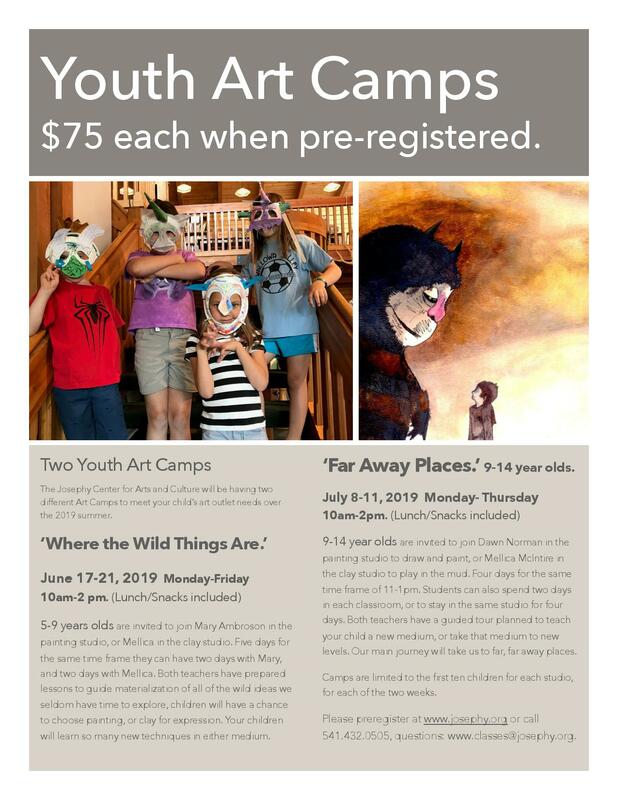 “Where the Wild Things Are” & “Far Away Places” are back this June & July! 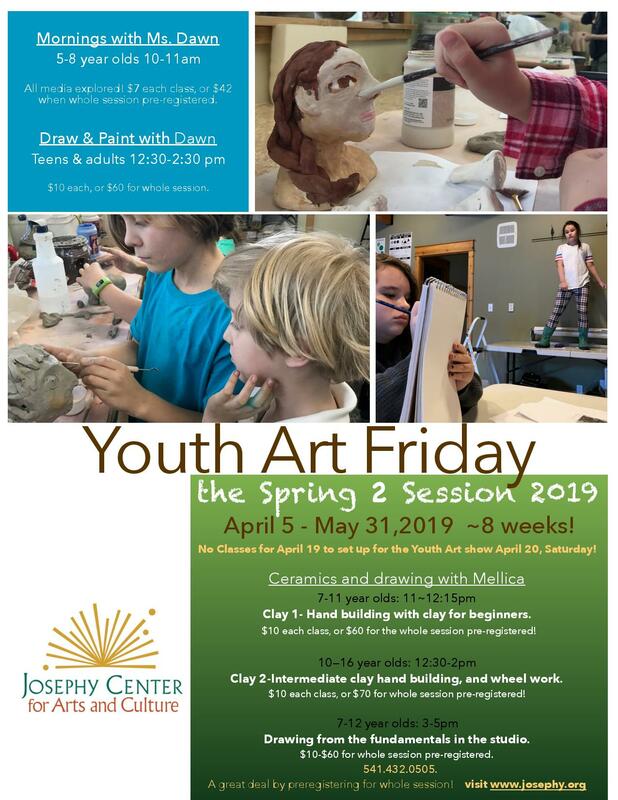 4 days of painting, drawing, & clay work for only $75! Register today – lunch included. Twice a week ceramics with Mellica. 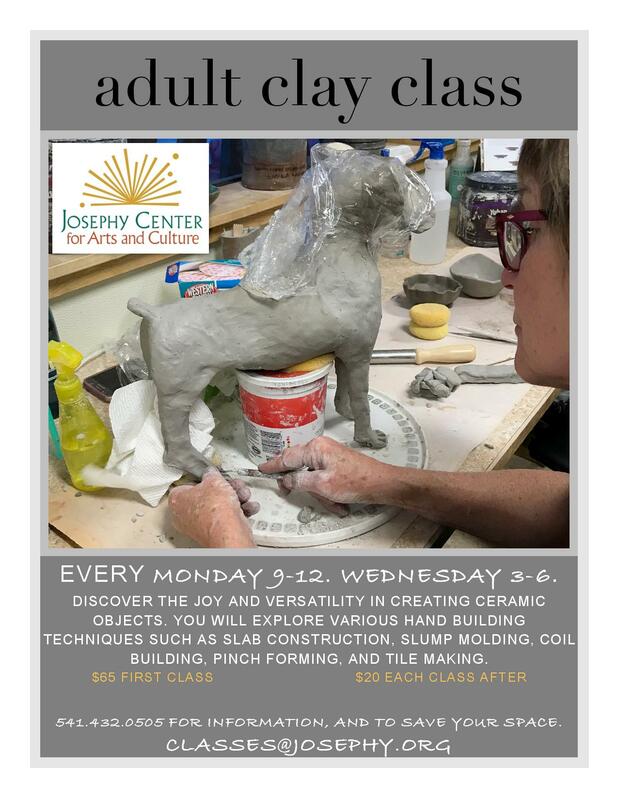 Ceramics class Wednesday afternoon from 3-6 PM. Monday class lessons occur from 9 AM – Noon. $65 for 1st class / $20 subsequent classes! 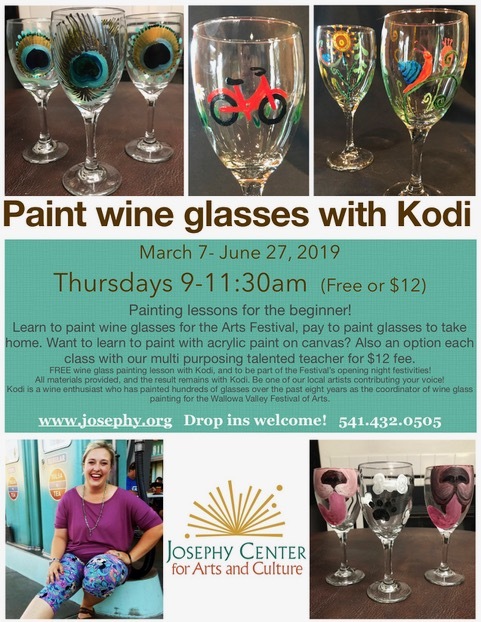 Every Friday at Josephy at 12:30 PM. $10 Drop-in. 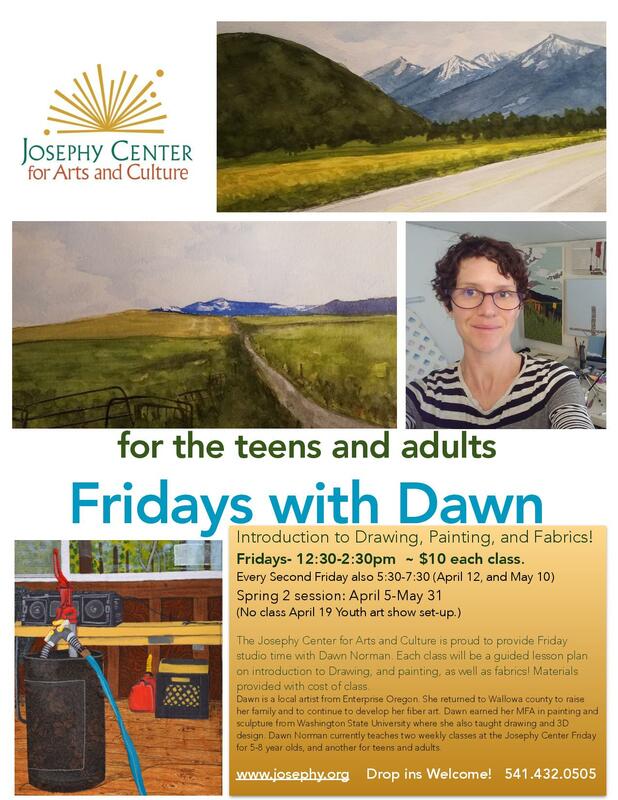 Taught by MFA teacher Dawn Norman. For teens & adults!